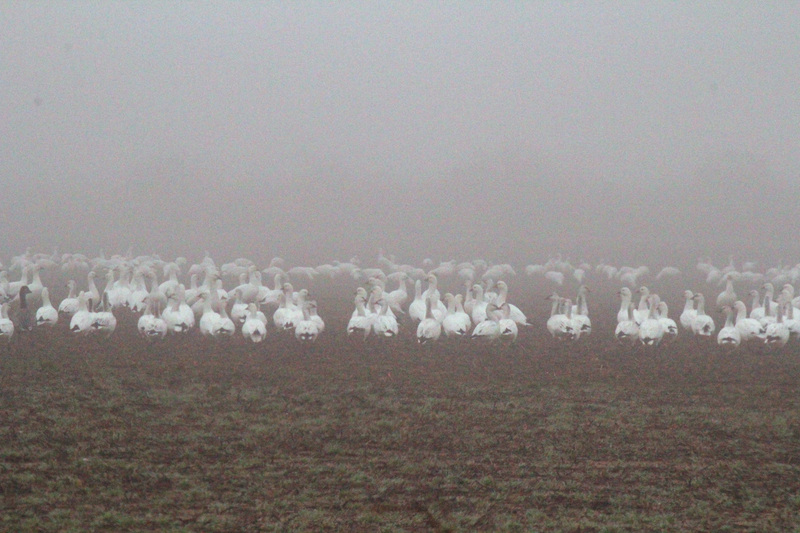 Snow geese hang out in a fog-covered field. We’ve had plenty of fog-covered mornings lately. Fog can be nerve-wracking, but it has its pluses. I love the little surprises you see when the fog lets up just at the right moments so you can see what its hiding, such as geese in the field you are passing. The snow geese winter in the area and, lately, you can definitely tell when the noisy birds are flying by.